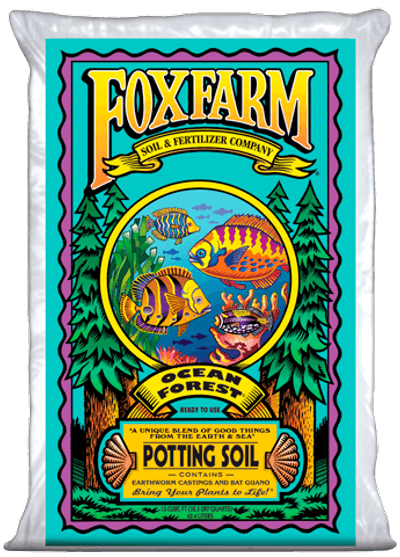 Our spectacular "Buy 2 Bags, Get the 3rd Free" special on Fox Farms Ocean Forest organic potting soil is on now, for a limited time! Now's the time to find space and load up on this amazing organic potting soil. Ocean Forest is a powerhouse blend of aged forest products, sphagnum peat moss, earthworm castings, bat guano, fish emulsion, and crab meat, bringing together the best from the the ocean and forest. The aged forest products, sandy loan, and sphagnum peat moss give this ready-to-use potting soil its light, erated texture. Start with Ocean Forest and watch your plants come alive! Simply stop in to visit our beautiful Rose section, where the majority of roses are in bloom now. You know the saying: "Stop and Smell the Roses." You can do that here! This lovely Rose is ready to get the party started in your garden, with old-fashioned soft yellow blooms that finish with a kiss of pink on the petal edges and have a powerful perfume. 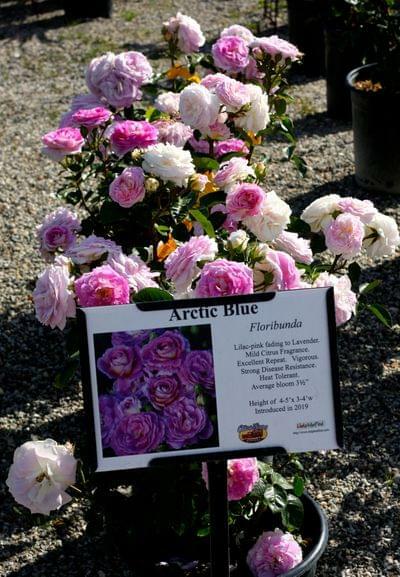 This stunning Rose produces large clusters of gorgeous lavender blooms with a reverse that is a lovely creamy white. The pointed buds slowly unfurl their slowly unfurl to reveal spiraled flowers of lovely lilac pink, fading to lavender blue with a cream reverse. Look to us to find pesticide-free Milkweed, the plant Monarch Butterflies need to sustain their lifecycle. We've partnered with select growers to help the Monarch population by having Milkweed available year-round. Color Bowls are available pre-planted in a variety of diverse containers. Succulents come in a variety of intriguing shapes, colors and textures. Pair one with a pot. 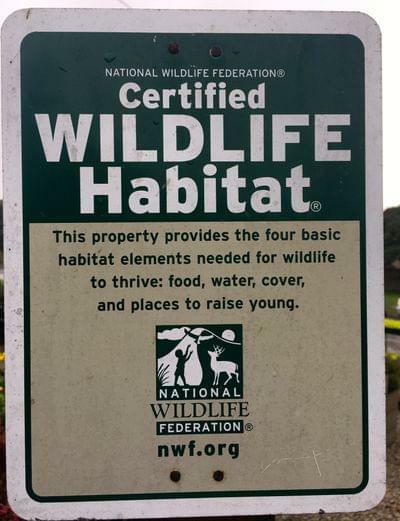 We are proud to be a Certified Wildlife Habitat where hummingbirds play, butterflies feed and flutter, and birds sing. Our in-house designers are constantly crafting creative new "color bowls." 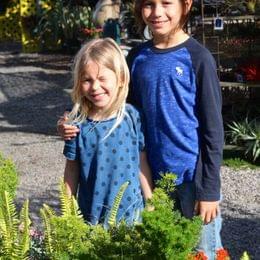 Our team knows what plants have similar watering requirements and scouts our in-stock container and succulent selection to put together these artistic pots filled with plants. 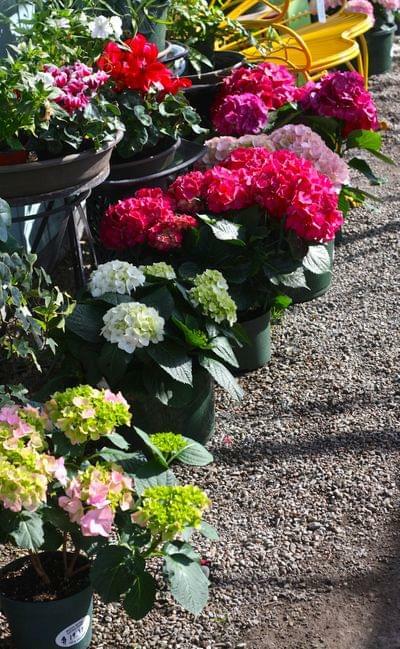 We can also work with you to select plants and containers and plant them at the garden center using the best soils. Just ask us. Our edible selection is among the best you will find and includes locally grown, nonGMO and certified Organic options. Grow your own lettuce, basil, cilantro, parsley, kale, squash, artichokes, peppers, rosemary, black pepper, rue. We have the best selection around. Our established relationships with top growers enable us to procure plants unavailable to others. Right now, we have hard-to-find Citrus that includes Kumquats, Lemons, Tangerines, Limes, and Grapefruit. And they are loaded with ripening fruit. Citrus can be planted in containers. 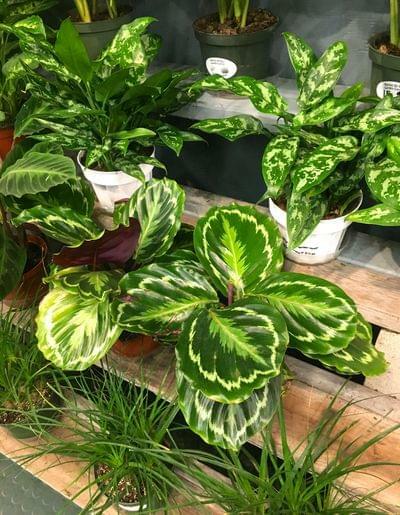 Create a lush and beautiful indoor area with house plants. Our large selection includes small tabletop sizes all the way up to tall tree sizes. Indoor plants also can help purify the air you breathe. Ask us which plants will help eliminate harmful pollutants. We can also help you find a great container for your new houseplant. Did you know we have the largest container selection in the Greater Los Angeles area? Our 2+ acres gives us lots of space and our industry contacts ensure we have an amazing selection. Our glazed Asian ceramic containers are very popular. We also stock a large assortment of Terra Cotta, Talavera, stylish lightweight containers, and others. 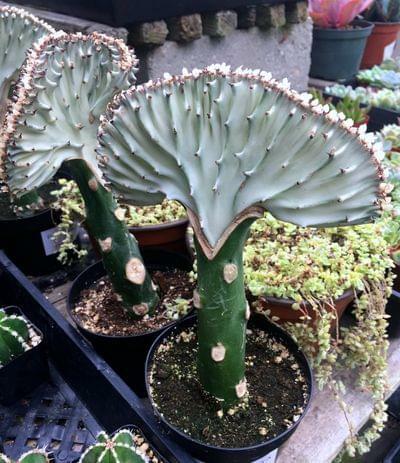 Small Cacti can enliven a garden or home with their intriguing look. Succulents, as well, are a great way to add intriguing textures and colors to the garden. Join our team as a part-time or full-time operations team member. We are in search of reliable, hard workers who enjoy interacting with the public. Working weekends is a must. Apply in person only. Osteospermum are in bloom now and will last into summer, making them the perfect plant for lasting, easy, vibrant color. Available in a variety of colors (yellow, purple, blue), this plant looks quite like a daisy, and is a member of the daisy and sunflower families (Yes, you can definitely see the resemblance!). It's highly likely that you've already seen this flower around town, as it is a winner that gardeners love. Planted together in rows or other groupings, Osteospermum creates a swath of stunning color, much like flower fields. This plant loves sun, and its spent flowers do not need to be removed (deadheaded) for it to continue to flower. Osteospermum is frequently used in theme-amusement parks for mass color, and in parks and other public spaces like parks. 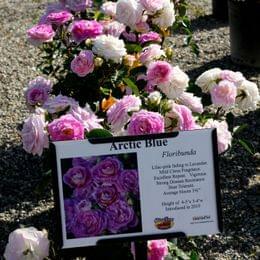 It can be planted in the ground and in containers, making it highly versatile. Stop in and snag some Osteospermum now and add them to your garden/patio lineup for lasting color. Ask our Garden Design Experts for assistance. Our Gift Card Makes A Great Gift... Anytime of Year! 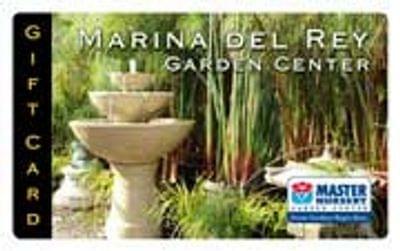 A gift card from the Marina del Rey Garden Center is a much-treasured gift. Not only can the gift recipient use it anytime toward any of our merchandise and products (including special orders), our gift card NEVER EXPIRES and HAS ZERO EXTRA FEES ATTACHED to it! Need to block a neighbor's view into your yard or create a colorful border barrier? Create colorful instant privacy with plants and vines on trellises. Our plants on large trellises are a super easy way to block a view and create privacy in your yard. We stock a good assortment of Jasmine, Bougainvillea, Potato Vine, Cape Honeysuckle, Privet and many others on large trellises ready to be put into place to block a view. Ask one of our Garden Design Experts for assistance.